And so the SO Health and Beauty blog begins! This month I have been concentrating on developing a YouTube channel which will contain various Vlog posts all relating to Nails, Health and Beauty. 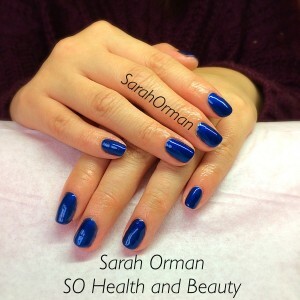 There are videos on the * Sarah Orman * YouTube channel which allow you to see the colour changes possible from the Gel ll Reactions range in stock at SOHealthandBeauty. Sometimes words are not enough, if i describe a colour or reaction to you, your mind is likely to create a vision different to the next persons.And when the colours and reactions are as beautiful as those brought to us from La Palm in the form of Gel Two Reaction manicure and pedicure led polishes the only way to understand their true beauty is to see for yourself 🙂 Thats where the Youtube channel comes in to perfect position. If you enjoy any of the uploaded videos it would be so kind of you to please click the you tube thumbs up symbol and subscribe so that the website can notify you when you log in that there are new nail art or health and beauty tutorials, demos or taster clips avaliable for you to watch if you choose. I would love to hear what you think about our new Blog and Vlog adventure! Do you have any requests for future swatches, topics or information that you would like to see featured?